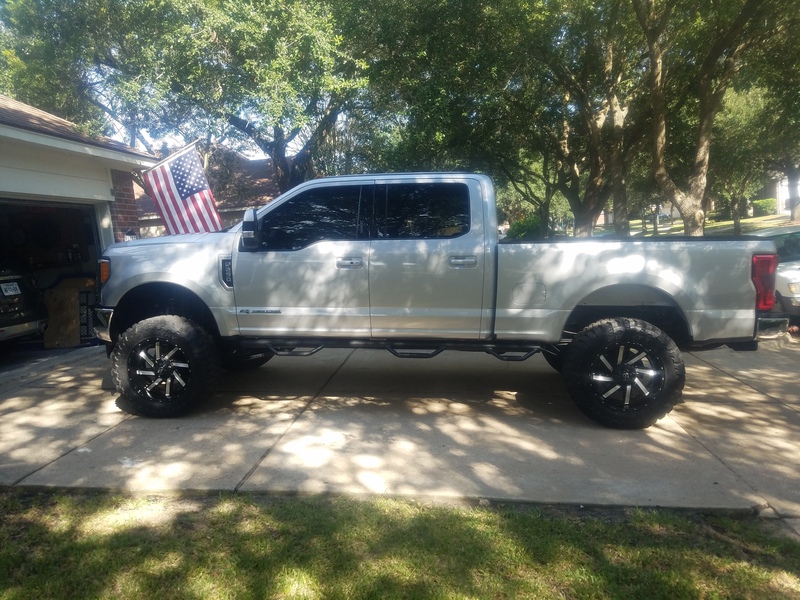 Ford Powerstroke Diesel Forum > Ford 17-19 6.7L Powerstroke Forums > General 6.7 Discussion (2017-2019) > What did you do to your 2017+ today? What did you do to your 2017+ today? Well, there aren't many of these trucks out there yet, but we need to start one of these threads. I've got my new 2017 ordered, and I've started ordering parts already. What have you done to yours? 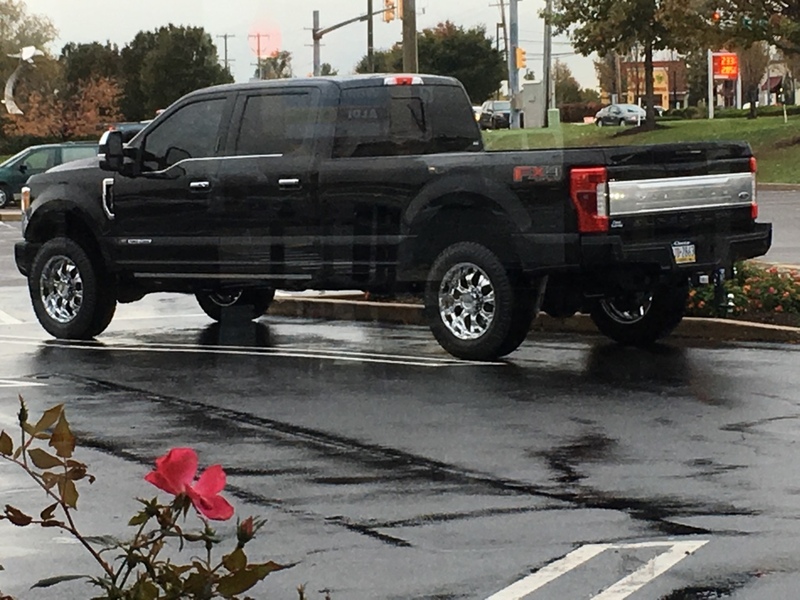 17' Lariat 6" Fabtech 4 link, 22" Fuels..
Love the wheels,,, well, I mean the truck too! What brand are they? Last edited by RJC2; 11-14-2016 at 05:57 PM. I can say i havnt seen many 17s look good with extra lift and\or oversized tires. They just dont seem to match this truck. ( on-demand exhaust brake from the AMDP tune).LED interior,LED AUX back-up,Westin HDX grill guard,High-idle,Aux 55 Gal Transfer tank,Draw-Tite Hide-A-Hitch gooseneck,LED puddle lights.4000x2 LED lights up front for dark country roads. Access Low profile bed cover. It has no lift and stock size tires. 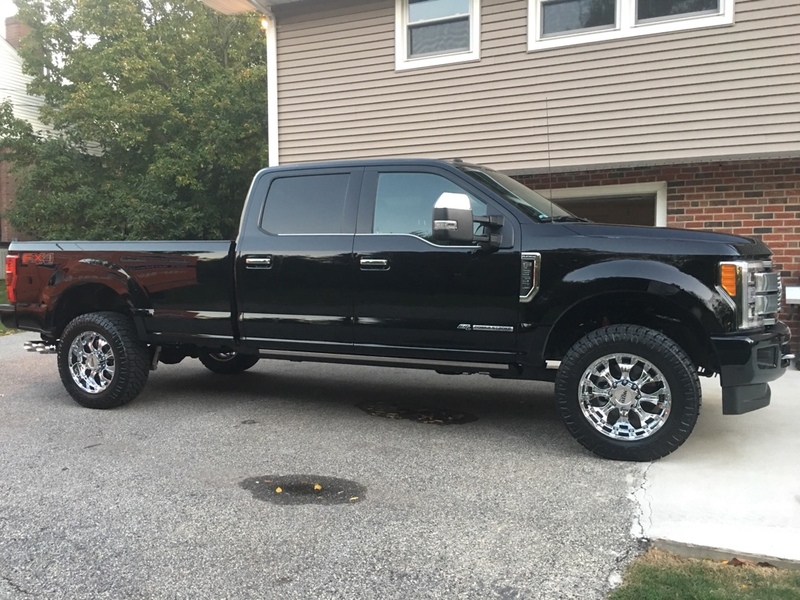 Well I ordered my 2017 F350 Lariat 2 weeks ago. Been gathering my list of items that I need to purchase and install on the vehicle. Amazing how impatient one can be for a new truck. Seems like its going to take forever before it gets here. Anyone have any decent sites for 2017 Accessories? jbtrahan and Ferris70 like this.